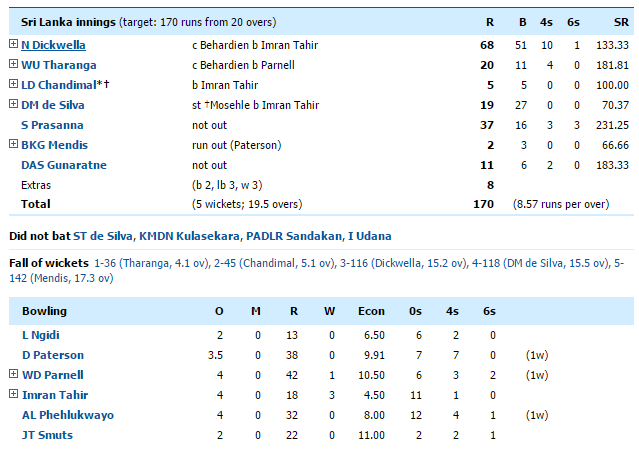 Sri Lanka beats South Africa by 5 wickets to win T20 series. Niroshan Dickwella struck a crucial 68 as Sri Lanka beat South Africa by 5 wickets in yesterday's T20 international at Newlands to secure its 1st trophy on South African soil. 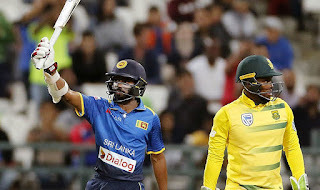 Chasing a challenging 170 to win the decisive 3rd match after AB de Villiers had struck 63 on his return to international cricket, Dickwella shared in a 71-run stand with Dhananjaya de Silva 19, before Seekkuge Prasanna's destructive 37 saw Sri Lanka home with one ball to spare. 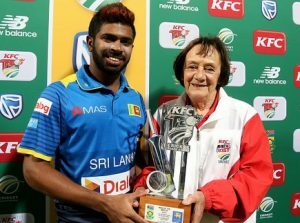 The visitors clinched the 3 match series 2-1 as a result, but were grateful to some poor fielding from the South Africans, who dropped 5 catches in total - including 3 in 3 balls.